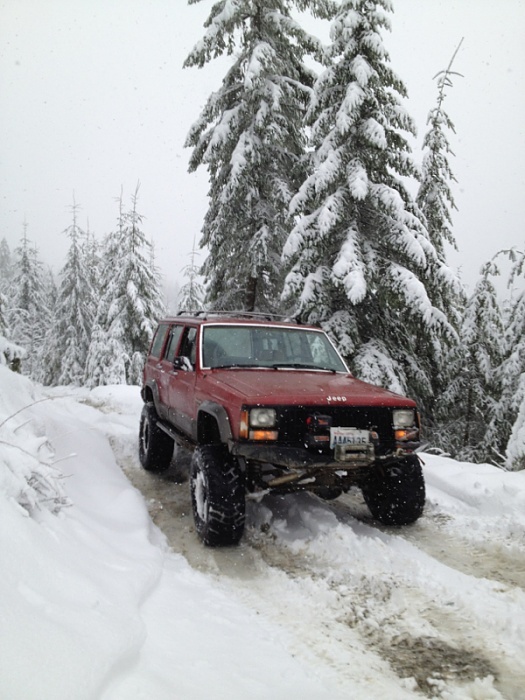 I have a 1991 jeep Cherokee Laredo (245k miles), that I built for the offroad road trails around the northwest. 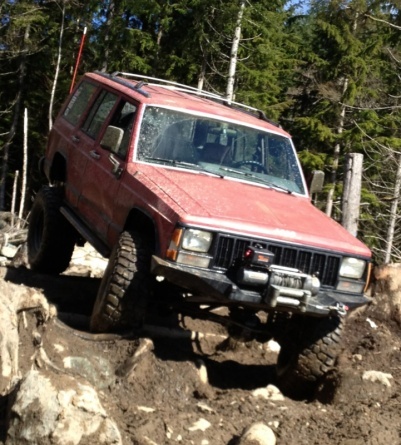 This cherokee XJ is in great mechanical condition and ready for the next trail run, and also drives great on the highway. 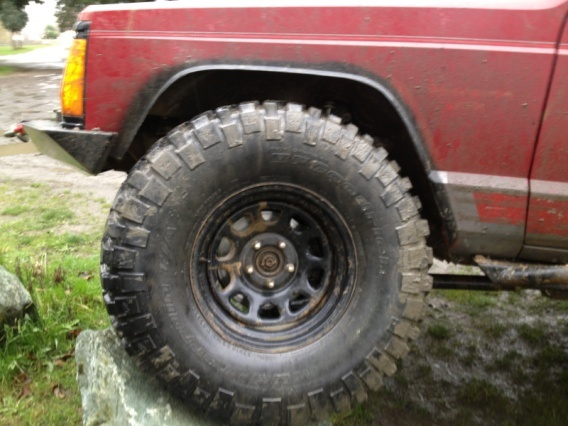 ASKING $$4300.00 OR $5100.00 with (5) maxxis Big horn 35x12.5x15, in great shape. 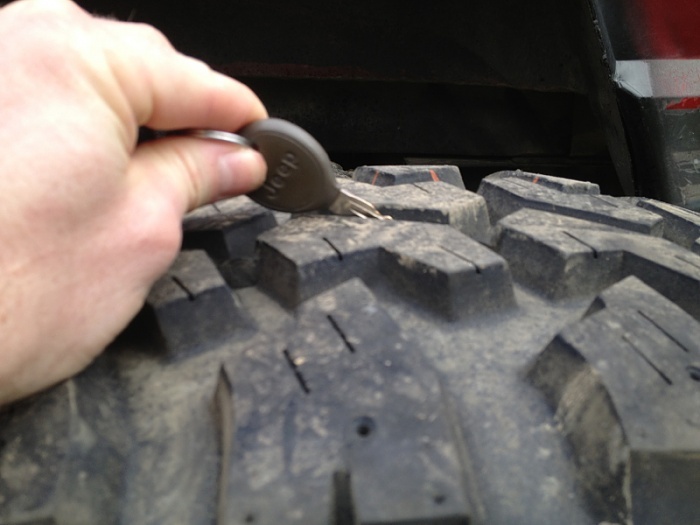 deal includes both sets of tires. POSSIBLE PART OUT, IF ENOUGH INTEREST!!! I really dont use this rig as much as I'd like. So here it is, up for grabs. I'm using the funds to build my '03 WJ or a ski boat to take the kids tubing/skiing this summer. Last edited by gilbertxj466; 03-18-2013 at 09:56 AM. Hahaha, yeah I've thought about it. Got her all cleaned and dressed up for the new owners next outting. Please dont ask me to part it out! 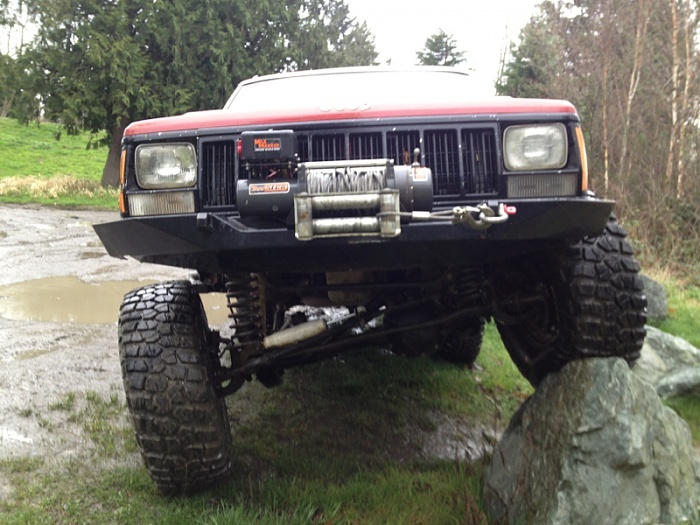 the last thing I want, is to see this pour jeep disassembled in my yard. This cherokee is ready to rip, wether it be in a parking lot or walker valley's express way. 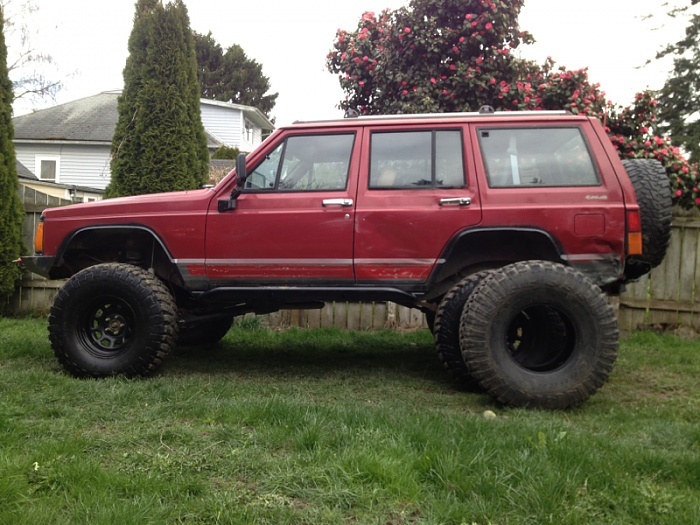 I suggest stop dumping money into your half *** jeep and buy one thats complete and ready to go! I dont know how long the urge to sell at such a low price will last, so make an offer soon. I have all the recipts, to verify work done and for outstanding warrantys. New Price!!! 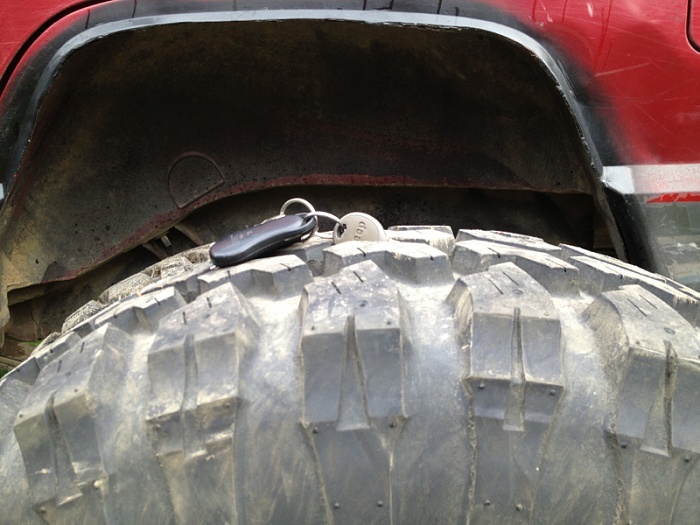 I'll through in a set (5) of Maxxis 35" big horns for a new price of $$5,100 !!!! Let me hear some of your offers. I'm not firm nor am I loose, so send me a pm with an offer. 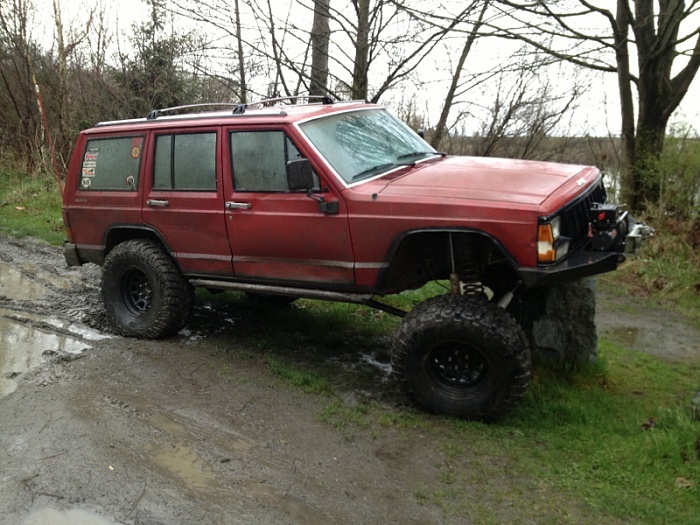 I will be willing to break her down for parts, if I get enough interest to sell individual parts (axles, winch, bumper, lift). Pm you interests! If you part it out, i got dibs on rear bumper and tire carrier! 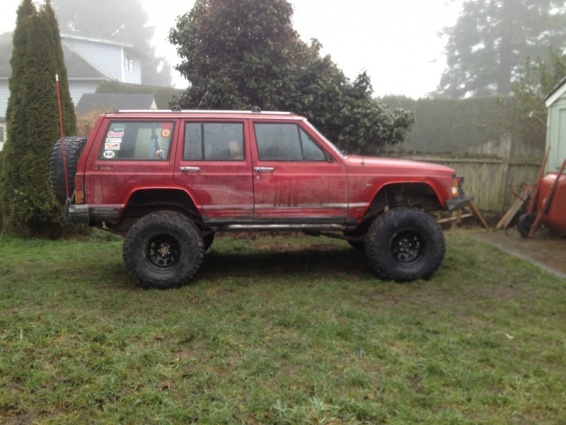 How much just for the the 35's?